In 2014, Global Abilities began a partnership with the Brad Fox Memorial Foundation and the annual Fox’s Trot 5K Run/Walk, and Kids Fun Run. The race honors Police Officer Brad Fox who was killed in the line of duty on September 13, 2012. Fox was a 5 year veteran on the force, a Marine who served two tours in Iraq, and a beloved husband, father, son, and friend to many. Brad’s smile, and sense of humor were infectious, and he brought both with him whether he was helping those in the community, playing ice hockey, or at home spending time with his family. Brad left behind his wife Lynsay, daughter Kadence, his son whom he never met, Brad Jr., mother Kathy, father Tom, brother James, and countless other friends and family members whose lives he touched. 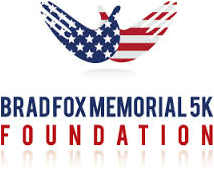 The goal of the Brad Fox Memorial 5K Foundation is to raise funds through the annual Fox’s Trot 5K, and distribute any proceeds to police, and military members, families, and charities in need. All donations to the aforementioned will be made in Brad’s name so he can continue to make a difference now, just as he did everyday when he was alive. Global Abilities is honored to partner with the Brad Fox Memorial Foundation! 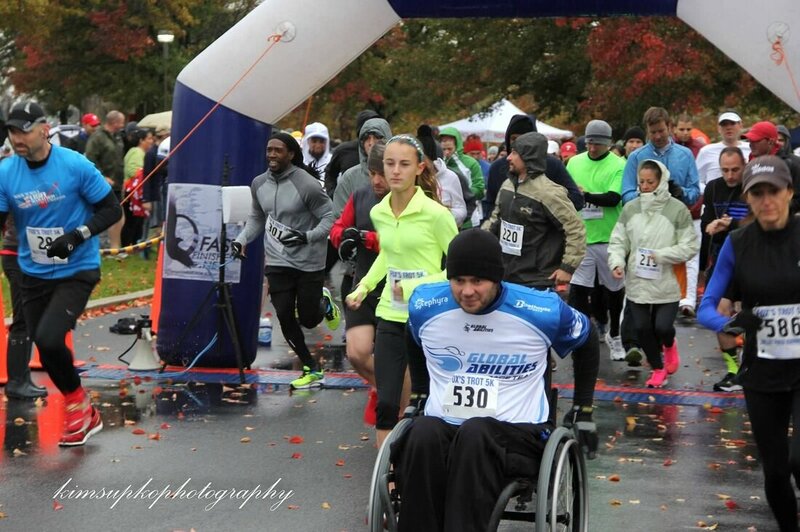 The fourth annual Fox's Trot 5K was held on November 7th, 2015. Stay tuned for details of the 2016 race.